Nobody was free this day, I had to do it by myself! It’s not very heavy but my back remembered it this night. 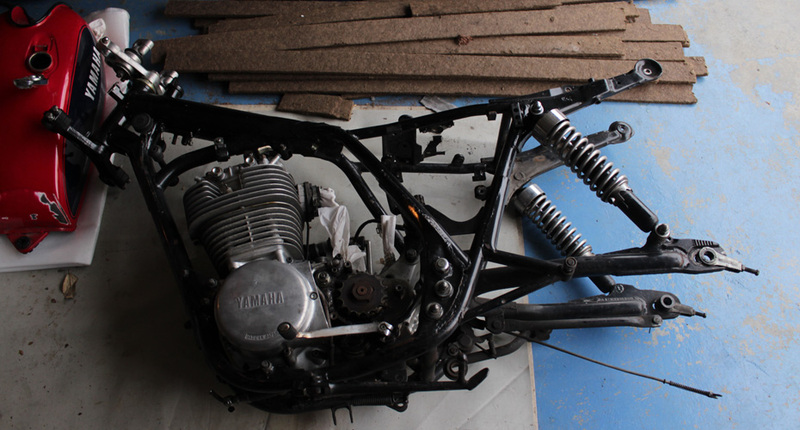 Then thanks to this page of this website on a xt500 rebuild, I keep in ming the idea of putting the frame on the side. 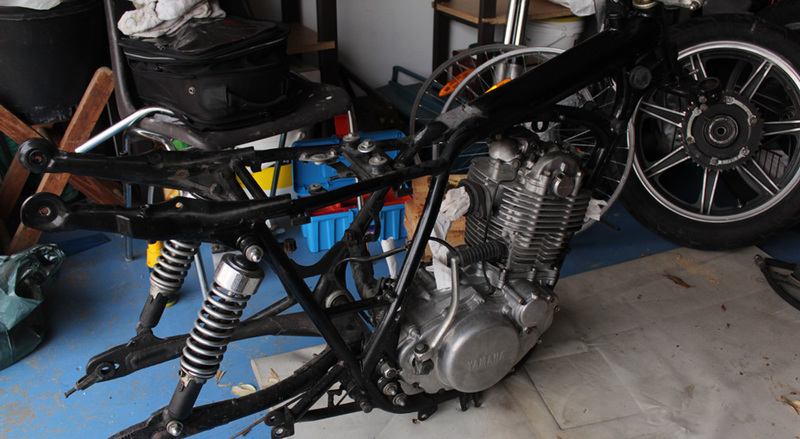 This way you just need to lift the frame. Nothing special to mention, everything went well. 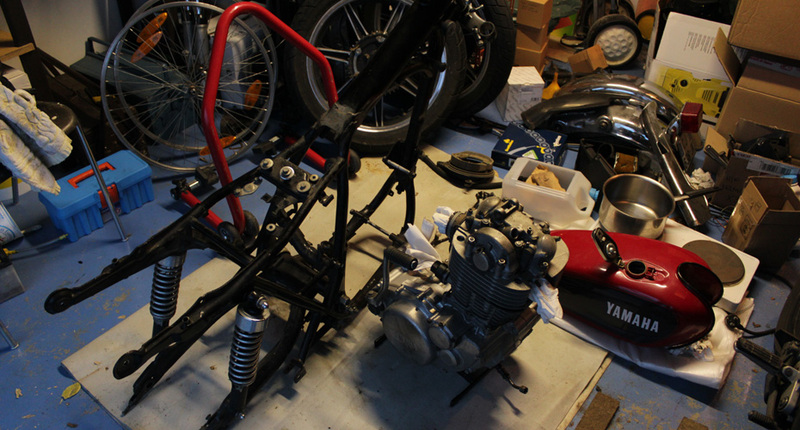 I’ve put the engine on the stand I bought at Kedo last order.